By Nancy Young in WordPress. Updated on July 31, 2018 . WordPress is the most reliable and sought-after content management system and there is a good reason for that. It offers an array of features that anyone can manage their website’s content through this platform easily. This is especially true for the WordPress themes of 2017 as there are so many features and functionalities that can make your website stand-out in no time. But when you’re looking for a good WordPress theme for your website or blog, choosing just the right one from a pool of hundreds, can get a bit tricky. To get you through this dilemma, I have picked the best WordPress themes from the rest. So, let’s take a look at this collection of high quality and oven-fresh WordPress themes and their respective features, so it becomes easy for you to take your pick. Quercus is a beautiful and minimalistic WordPress theme with 6 demos and numerous pre-built pages. It features responsive design and user-friendly admin panel. 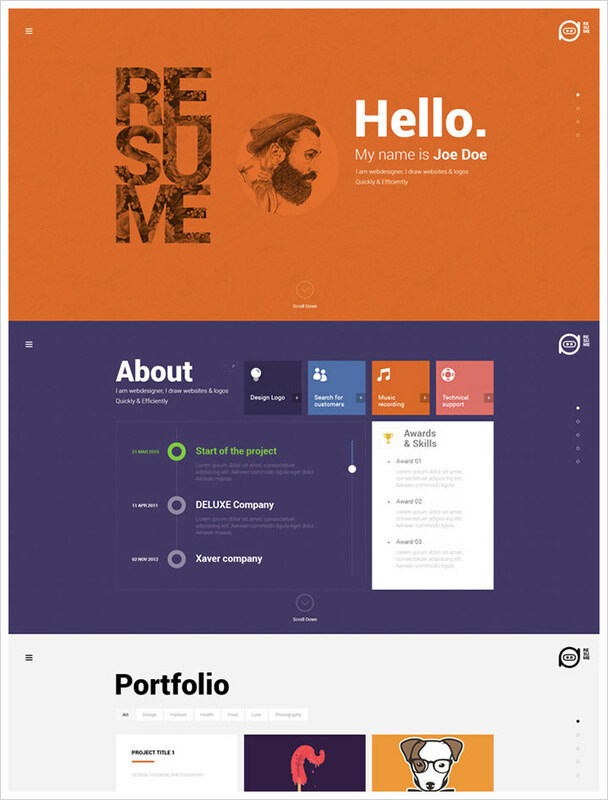 Domior is a perfect website theme for personal portfolio. It will help you to show off yourself in the best possible way. It has about me page, the counter of happy clients, nice gallery and pricing tables. 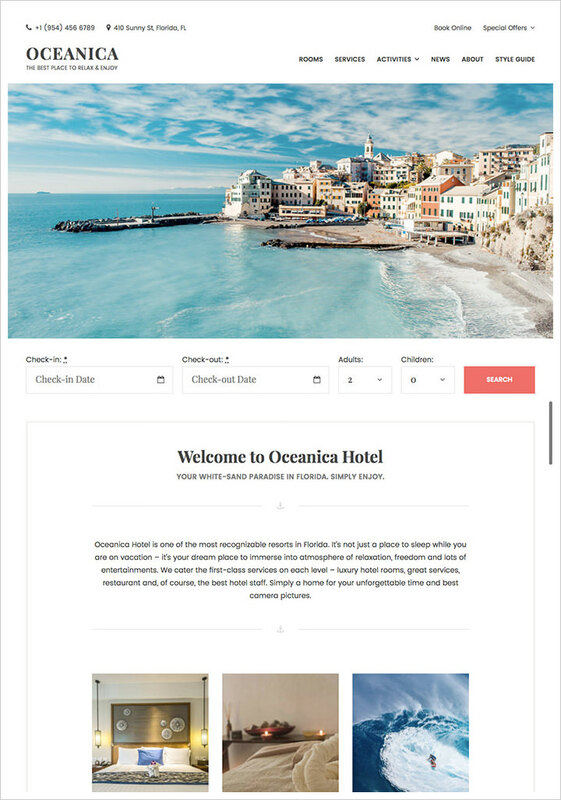 Oceanica is a minimalistic and clean WordPress theme suitable for hotels, apartments for rent, hostels, villas, and any kind of travel websites. It comes with online reservations and real-time search for your clients. 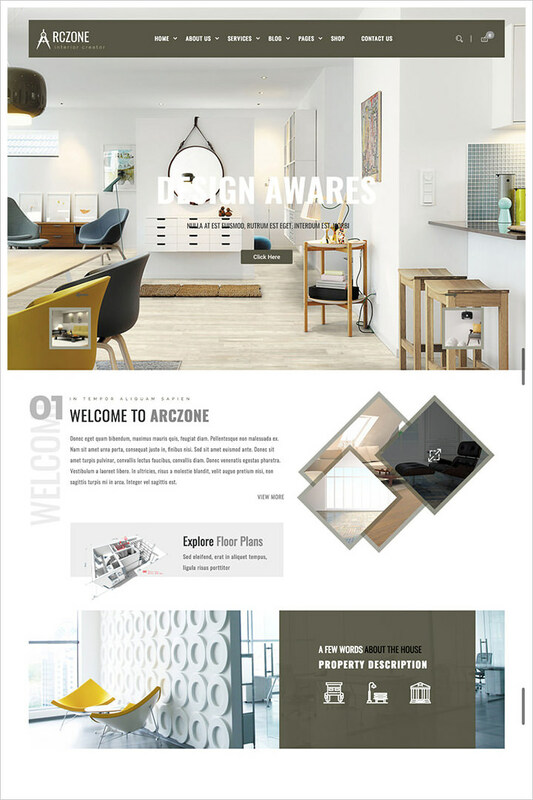 Arczone is an amazing interior design website theme which can be used by both agencies and freelance designers. It features King Composer which is an easy page builder, responsive design, multiple color options, and simple interface. Blogorama is a WordPress theme to host a blog of any kind with an ability to display content in innovative easy way. It is responsive card-design theme with Google fonts, user avatars, sticky menu and unlimited color options. 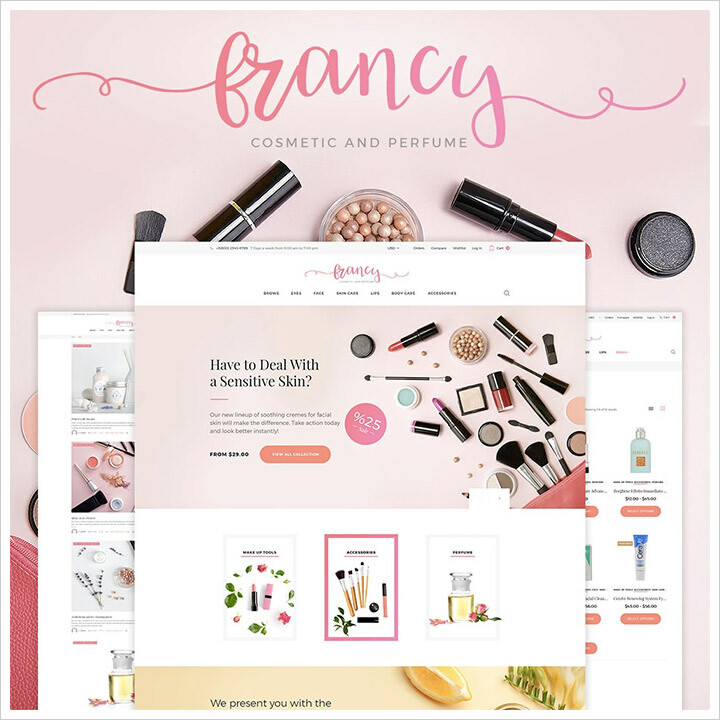 Tm Francy is an elegant WordPress WooCommerce website template to build a cool online store. It’s most suitable to sell cosmetics, beauty products, healthy food etc. It has a clean code and easy-to-use admin panel to adjust colors and fonts. 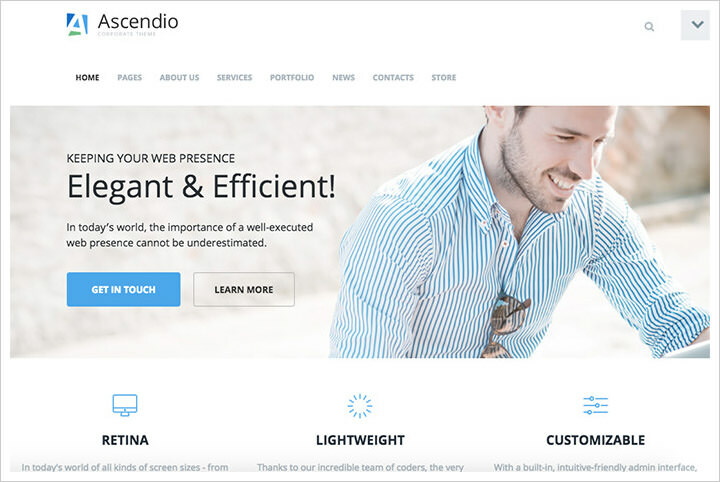 Ascendio is clean minimalist WordPress template for business and corporate purposes. It has drag-and-drop page builder for easy customization, unlimited number of colors and fonts to reflect your own personality. 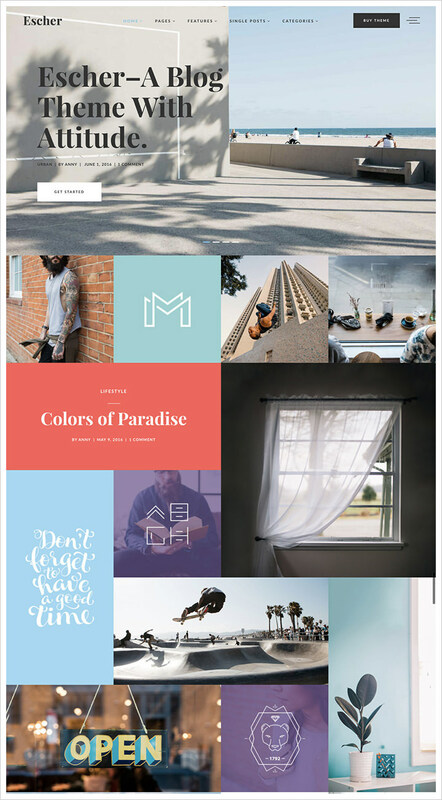 Meet another fantastic WordPress theme for the creating of a personal blog. As you can see, Jessica theme is perfectly suitable for personal recipe blogs, healthy shop, lifestyle blog, travel blog, photography blog, and any other type of blog you can imagine. 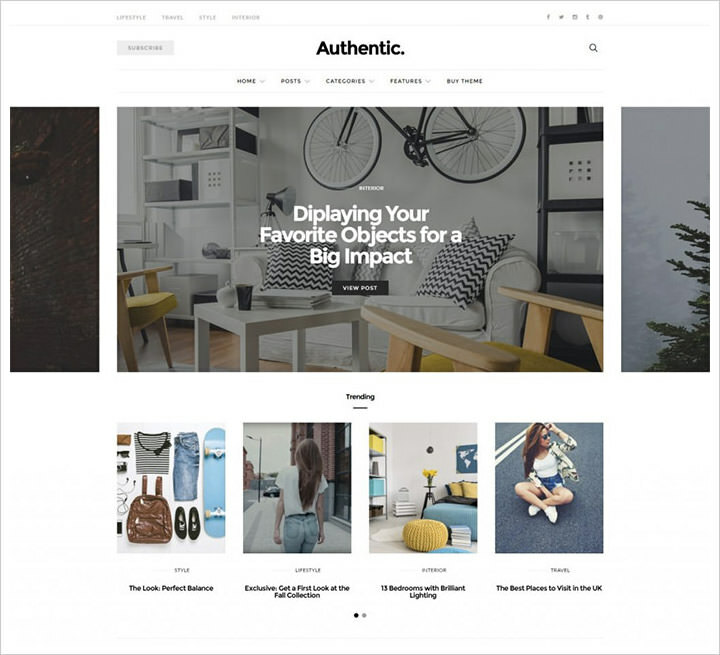 The theme has lots of customizable features for showcasing your content. 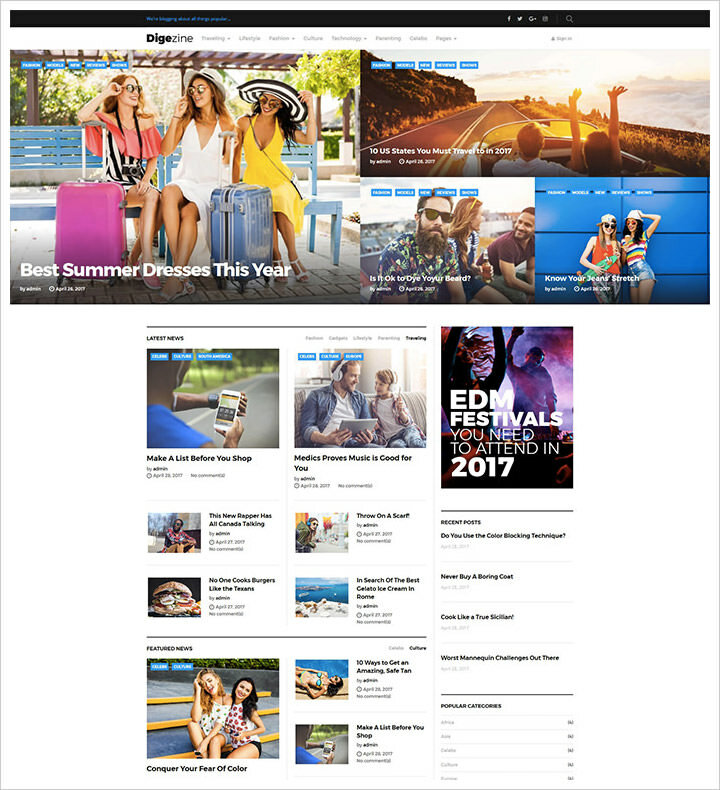 Digezine is a perfect WordPress theme for those of you who are looking to create a stunning online magazine. Choose colorful images and integrate your website with social media accounts for more exposure. Spacer is a great portfolio theme for designers, photographers, artists, and illustrators who are going to showcase their work online. Stylish galleries, sliders, and grids will help you to show your works in the best possible way. 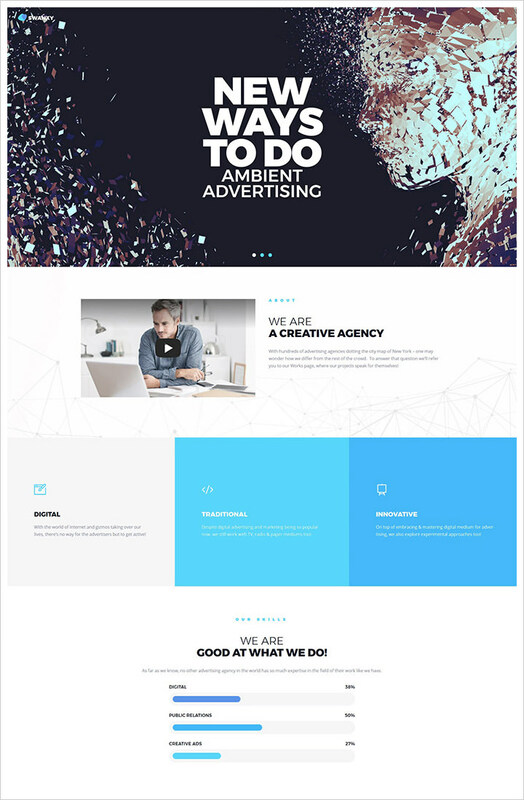 Swanxy was specifically created for creative and ad agency websites. It has multiple layout options, drag-and-drop page builder, Cherry plugin, and various content modules. 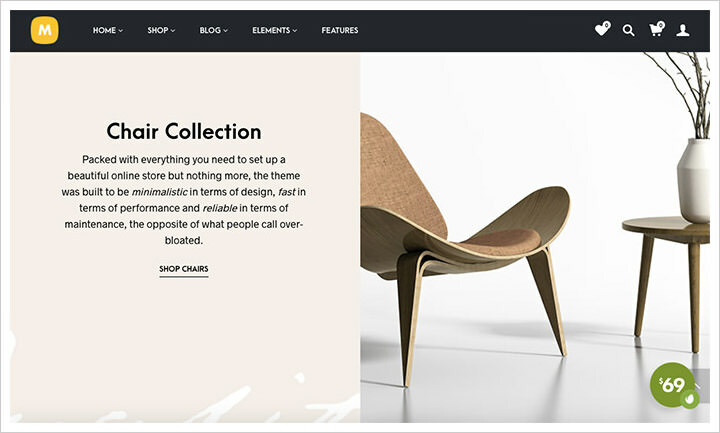 Furniture Store is a clean dynamic WordPress theme with WooCommerce integration. 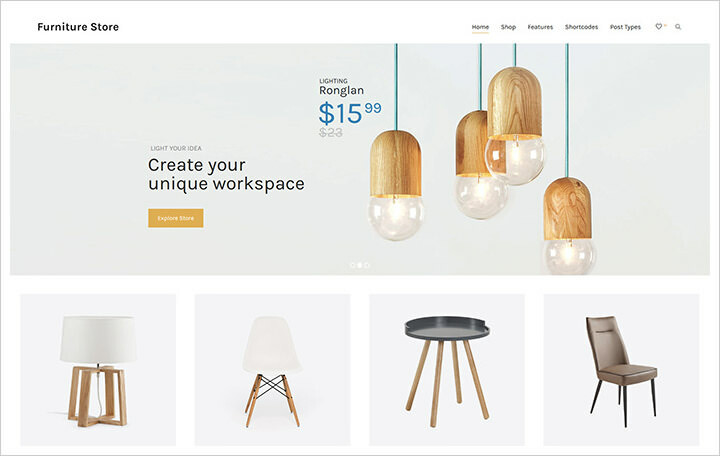 Ideal for a furniture store website, it also features a portfolio and blog layouts, different customization options, shortcodes and a lot more. Emilia Warren is a theme crafted for real estate agents. Cherry Real Estate plugin allows you to add different properties, filter search for your clients, add locations on the map and a number of other features. 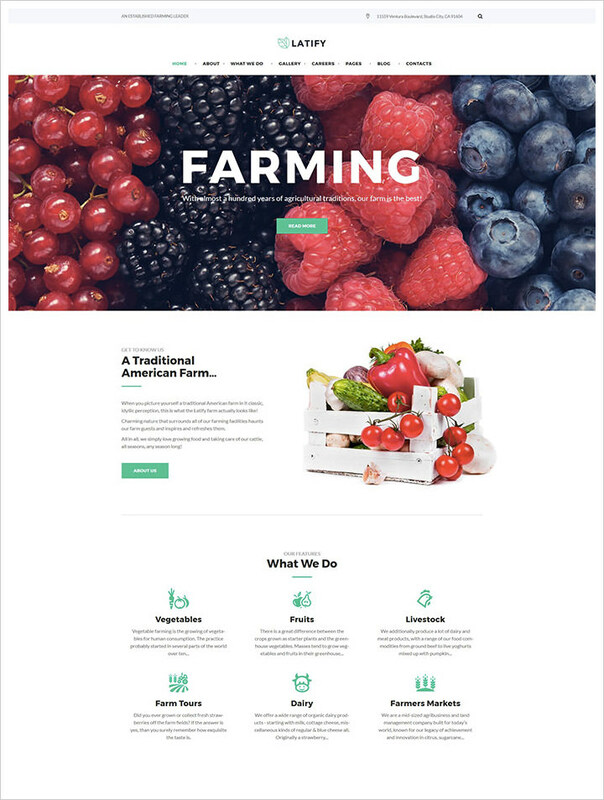 Latify is beautiful high-quality WordPress theme to showcase your farm and farm products. The template is fully editable, which means you can change colors, modules, pages, fonts, and any other element of a site to fit your needs. 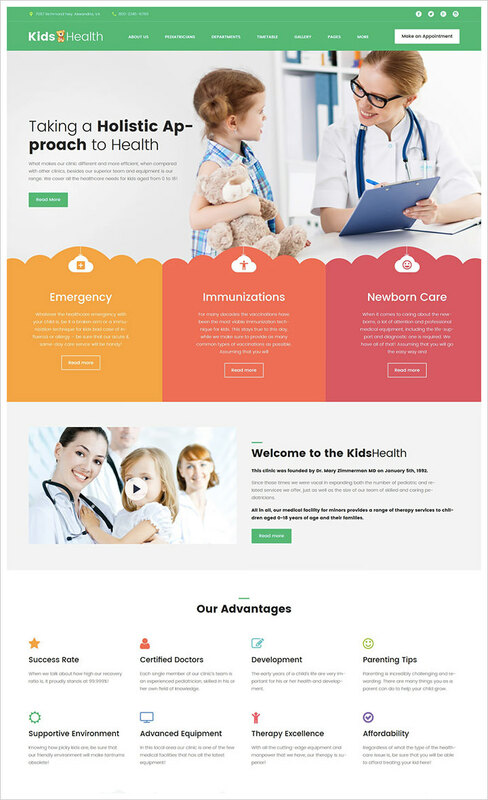 KidsHealth is a nice elegant and colorful pediatric clinic WordPress theme. The theme could be adjusted for your needs, so you can play around with fonts and color choices, header and footer variations, typography, images and more. 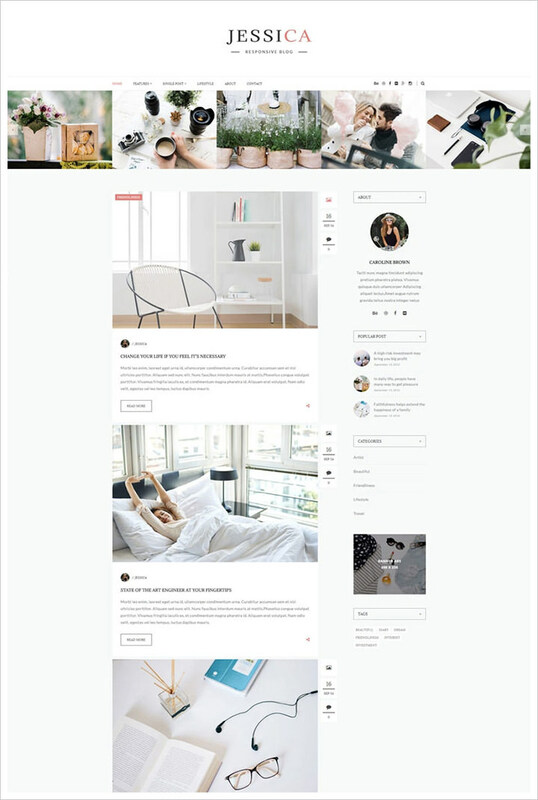 Blaskan is a free, simple, and clean WordPress theme for bloggers. It has eight categories for posts and a recent section too! 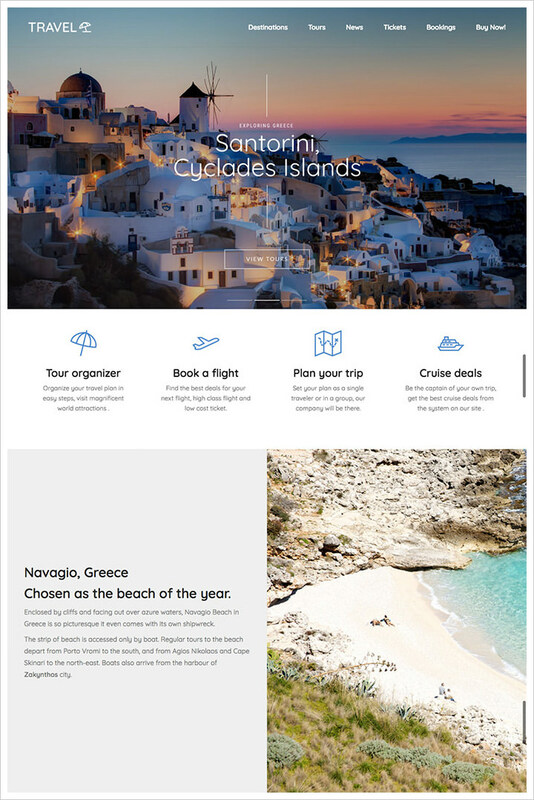 Blaskan is Bootstrap-based and uses lots of white space and images to stand out. 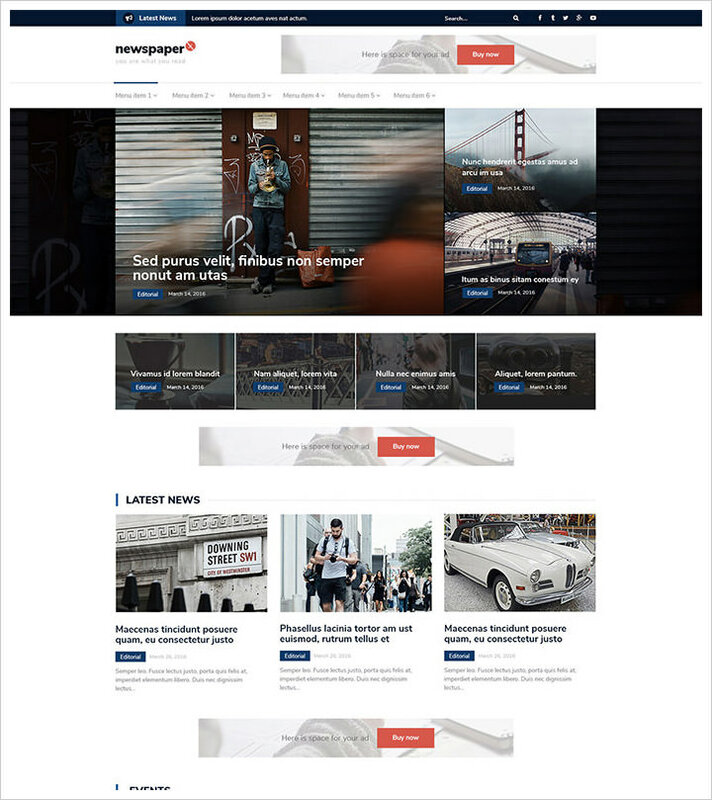 Newspaper X is a simple yet powerful magazine WordPress theme suitable for corporate news as well as fashion, beauty, or any other type of business. You can customize footer, header, colors, grids, typography, logo and more. 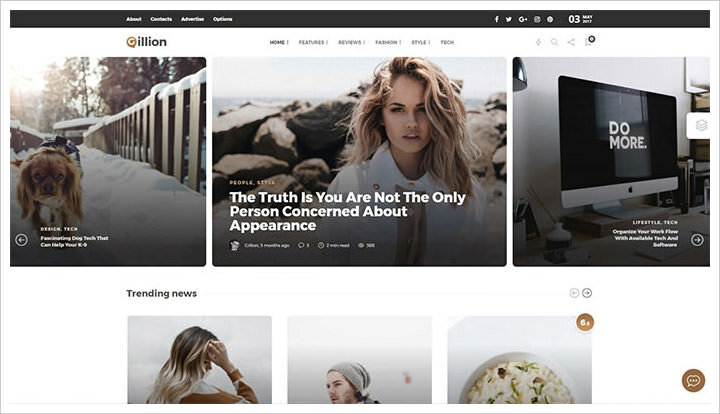 Gillion is an amazing blog and magazine WordPress theme. It comes with 7 demos, one-click installation and many extra features. You will also get a powerful customization panel. Kalium is a powerful responsive WordPress portfolio and online shop website theme. It presents you an absolutely easy admin user interface that massively simplifies the website design and development process. 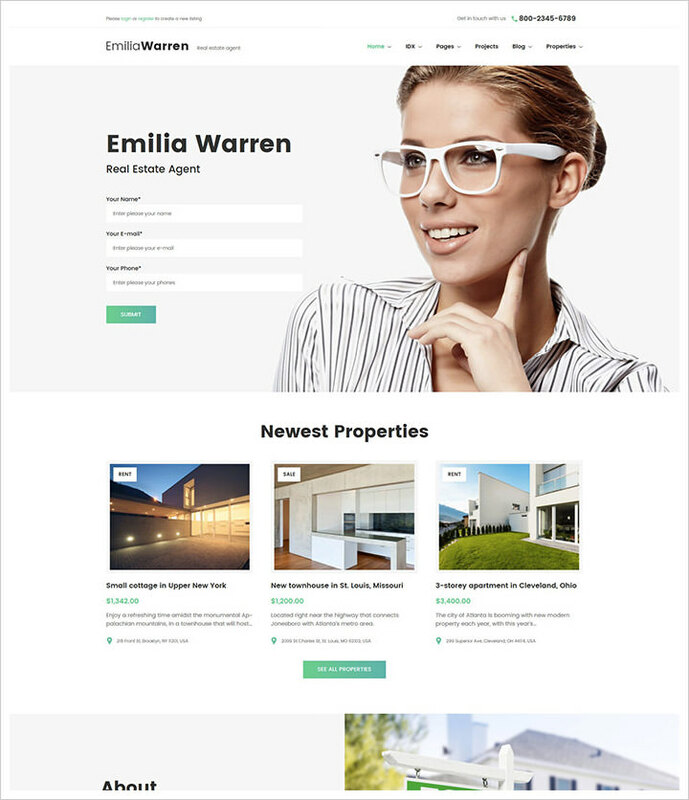 Realtyspace is a very easy to use WordPress multipurpose website theme. It is a great solution for all sorts of real estate property agents and agencies, real estate holdings, companies and businesses dealing with real estate in a number of ways. 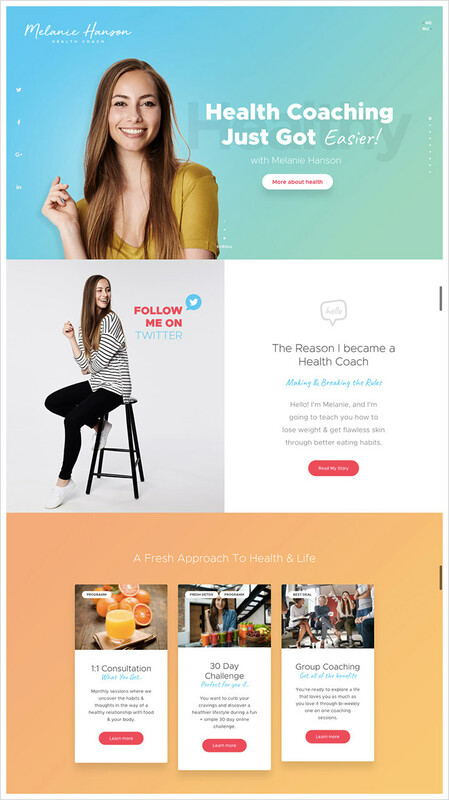 Powerful and easy in customization, Health Coach blog and lifestyle magazine is a good idea for the creation of your future online project. It has various helpful options, for instance, drag and drop page builder, advanced translation options, SEO optimization, easy customization, multi layout pages, MegaMenu compatibility, and powerful admin interface. 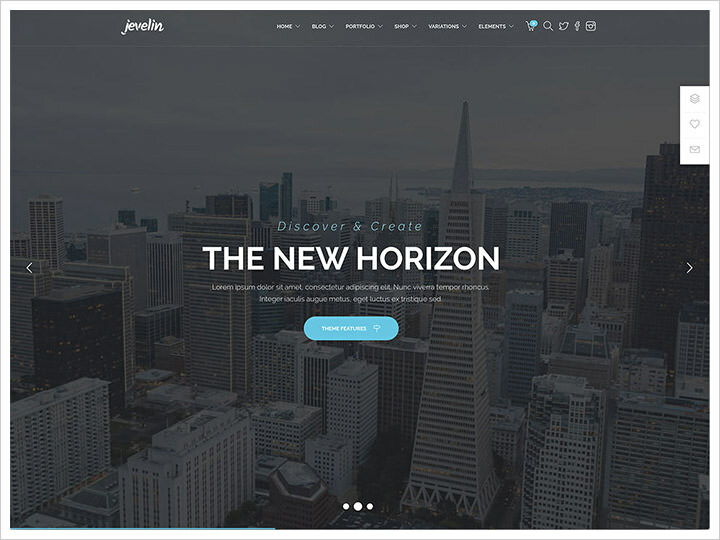 Jevelin is a modern and visually sophisticated WordPress theme. The theme is specially crafted for the purpose of building and maintaining mobile app related websites, mobile app showcases, mobile app developer websites and other app related projects. 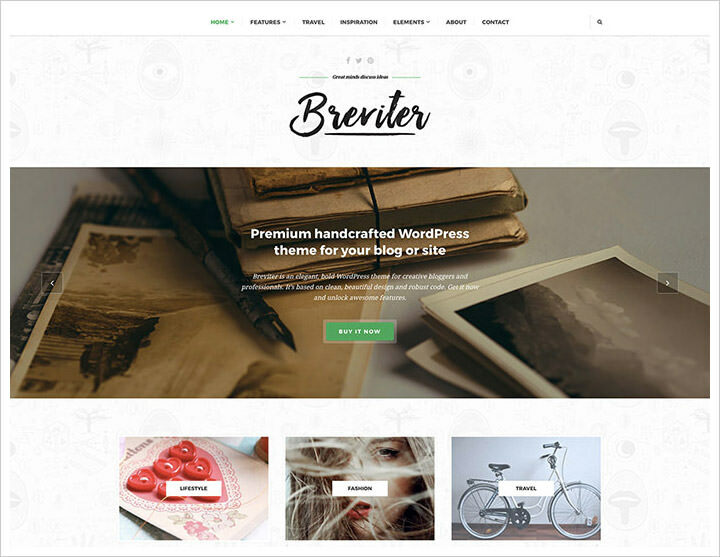 Breviter Pro is a brand new WordPress theme suitable for blogs, copywriting, and other creative areas. It has a smooth modern design crafted with simplicity in mind. It has sections for many useful purposes like FAQ pages, an author’s bio, and recent posts. 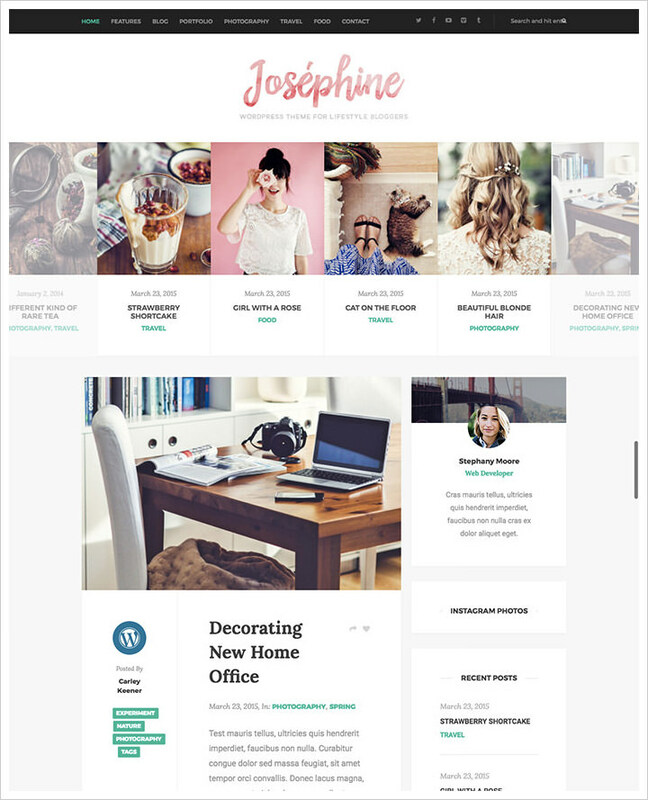 Packed with all of the newest options, Josephine is a creative WordPress theme. The template will positively impress your potential customers with its unusual structure and unique design. The theme is powered by the flexible Live Composer page builder plugin which gives you the ability to adjust the styling as you want. Interactive is a dynamic, carefully crafted, stunning WordPress theme, built for highly interactive websites. With its help, you can handle all sorts of posts, pages, and usage types while offering a consistently vibrant and dynamic, responsive user experience for your visitors. Designed in nice blue colors, Authentic template is a nice way to create your e-commerce website with ease. 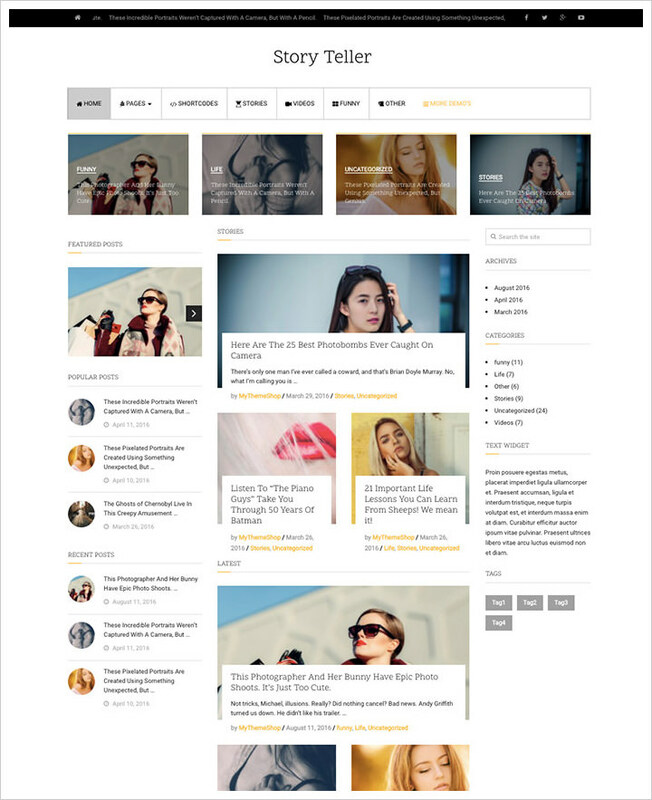 The theme features a rich palette of color schemes, unique fonts, and high-quality images. Foodica is an easy to use, flexible, and responsive WordPress theme which could be used for many kinds of sites, such as blogs, food industry websites, food service websites, restaurants, caterers, food critics, chefs, personal meal planners, etc. Escher is one more fabulous WordPress theme that is made for a personal portfolio or lifestyle blog. It’s packed with MegaMenu, social options, commenting system, single post variants, beautiful blog lists, Google web fonts, 4 menu types, responsive design, and other things to help you to build the site of your dream. Alpha is a clean, powerful, bold and responsive WordPress portfolio website theme. It features headers, footers, professionally designed layouts and purposefully built template pages, demo websites, and unlimited customization options. 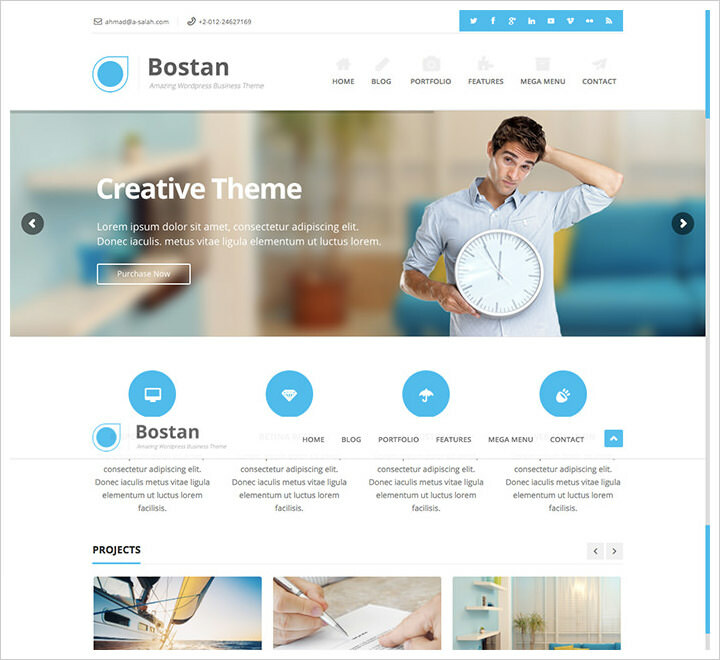 Bostan is an well thought out WordPress theme that has been crafted with attention to every detail. If you are looking to start some real business and want to put it online, Bostan is the template made specifically to fit your needs. 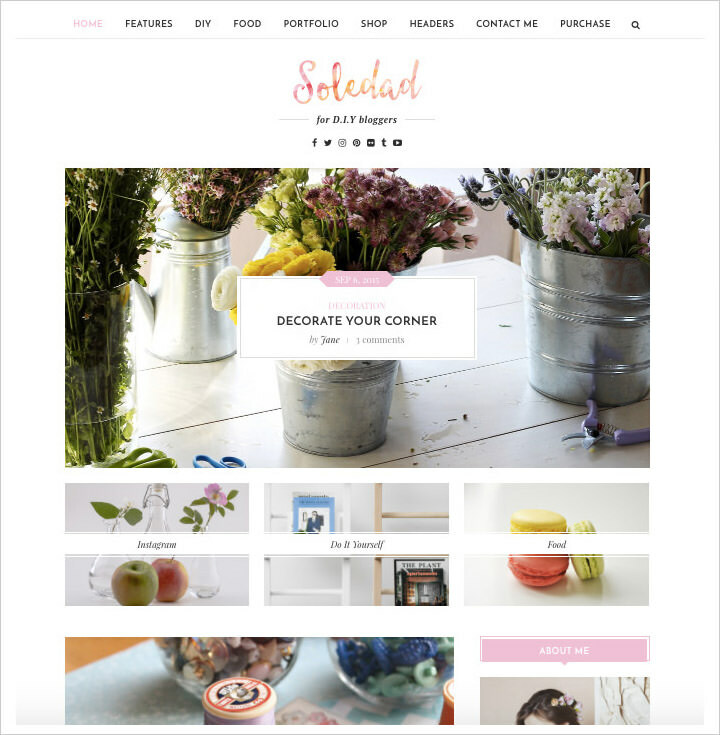 Soledad is a powerful, modern, and easy to use responsive WordPress blog and magazine website template. 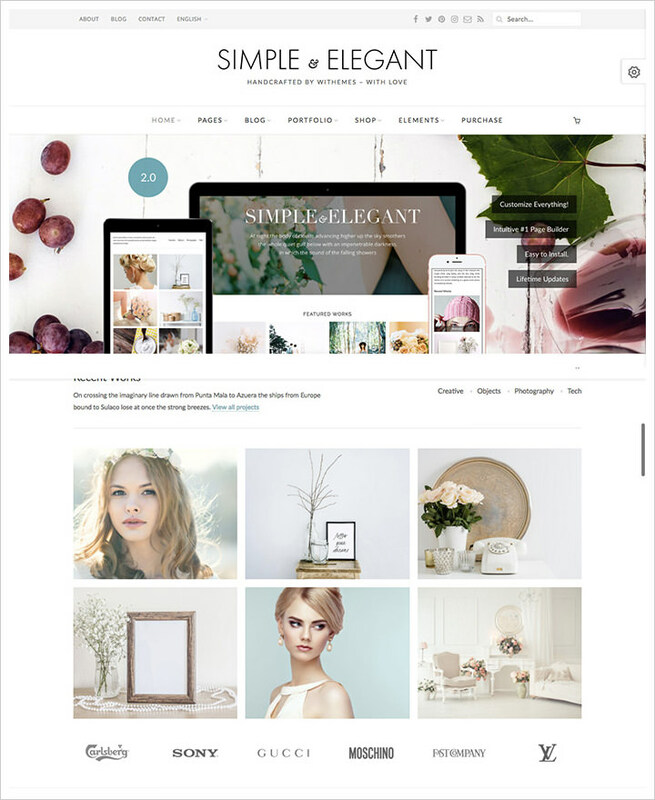 This amazing theme has over 900 homepage designs, 300 blog layout combinations, which makes it suitable for any kind of business you have. 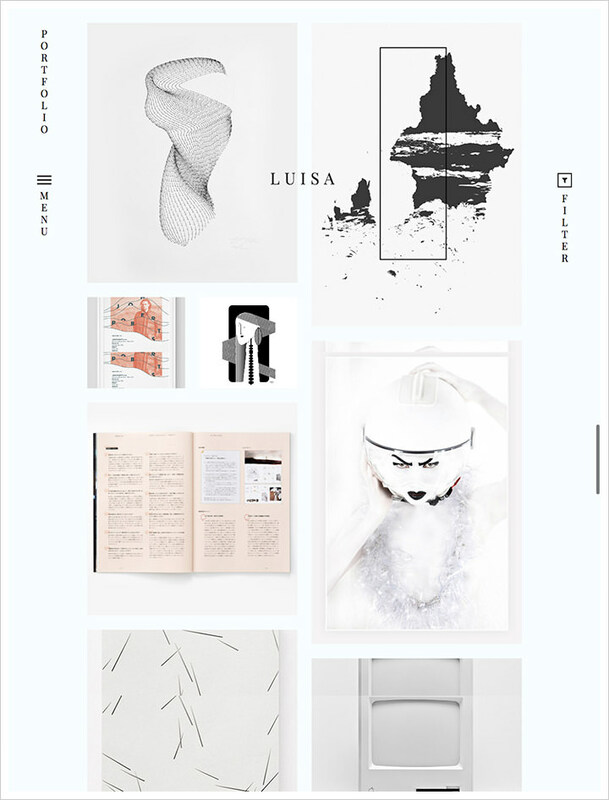 Luisa is a minimalistic well-crafted WordPress theme designed for photographers, illustrators or graphic designers who need to showcase their work online. The theme package includes one-click demo install that enables you to build a website without putting forth much effort. 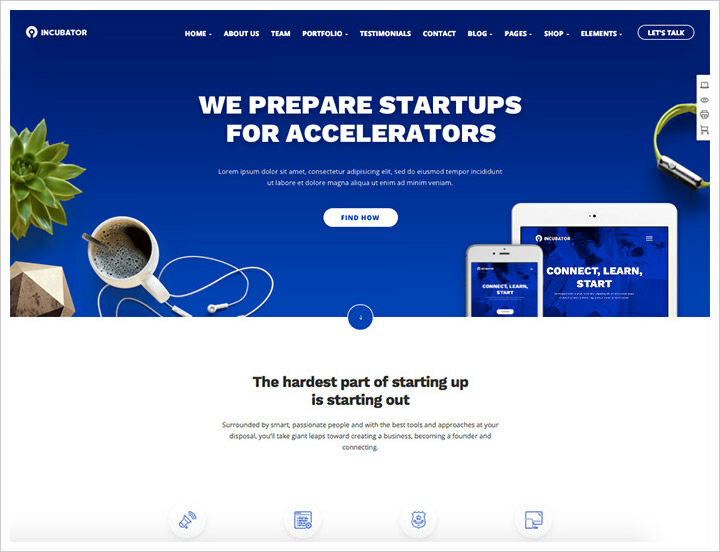 Incubator is a polished and perfected WordPress business website theme. It has multiple demos for startups, creative agencies, mobile apps, eBooks, corporate needs and more. Merchandiser is a smart, well-structured WordPress theme for WooCommerce online store. Merchandiser makes short work of all website design, simplifying your experience as a webmaster so you can offer a professional experience for your visitors. Circle Flip is a nice WordPress theme that can enhance your website. 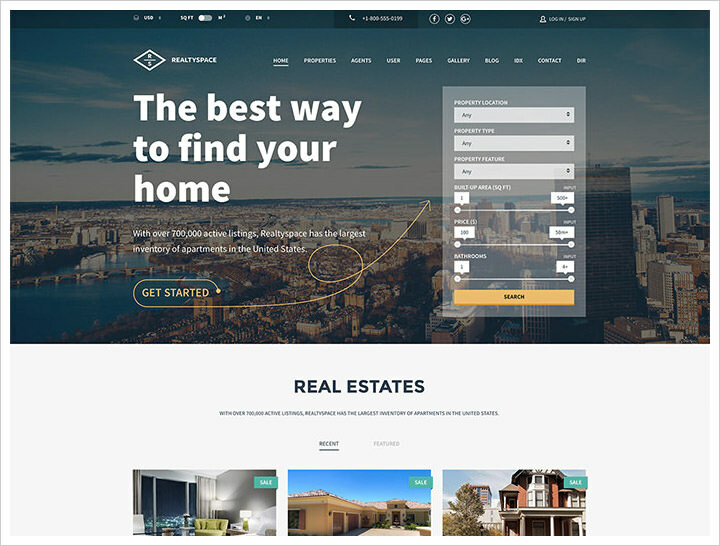 The theme website displays examples of how past clients have used Circle Flip, so you can see these examples and get inspired to create your own website using the template. 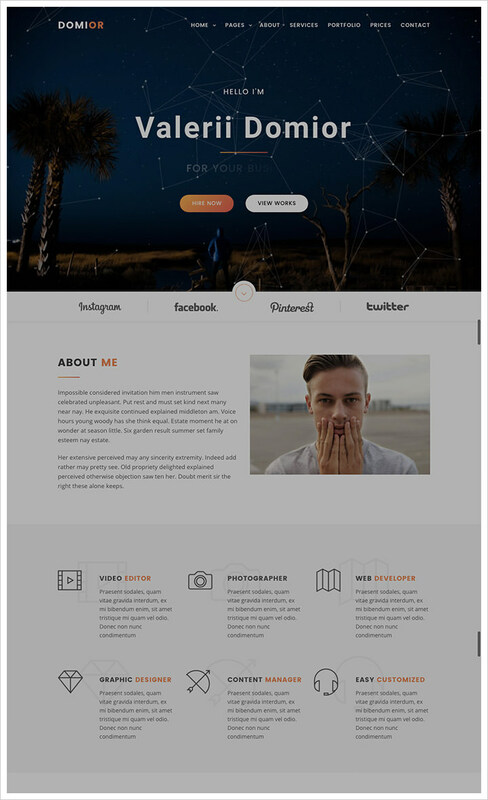 Intact is a high-quality award-winning WordPress theme which comes with numerous demos and home pages.This theme requires no coding and a has responsive layout. Over 600 Google Fonts and many columns for posting are also featured. 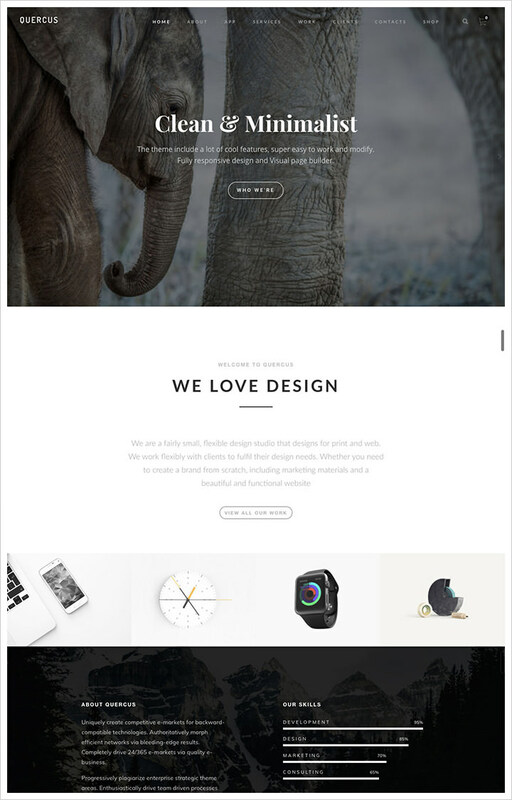 PILE is a boldly innovative, yet simple WordPress theme. It can be used for the presentations of art directors, photographers, creative agencies, illustrators, and designers. 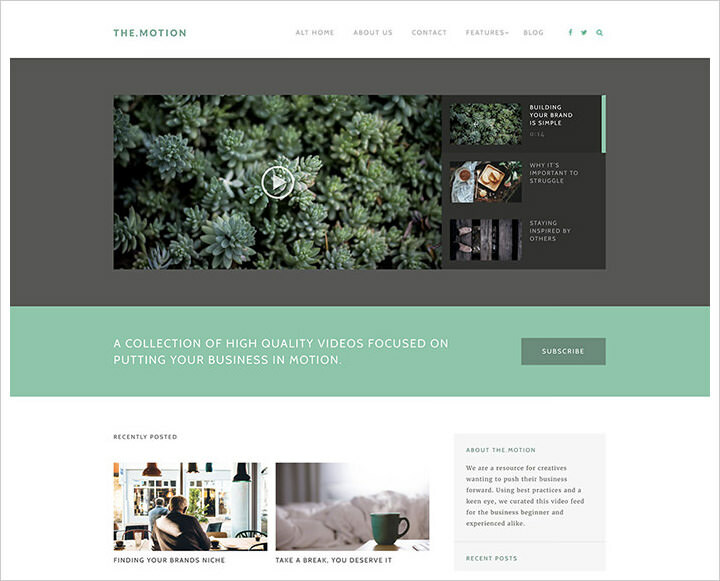 TheMotion is a dynamic and stunning video blogging WordPress theme. It’s easy to setup, so the theme can be ready to go live within a minute of the one click installation process. While the Live Customizer and the Advanced Theme Settings will help you to adjust your end-user’s navigational experience to match your personal expectations. 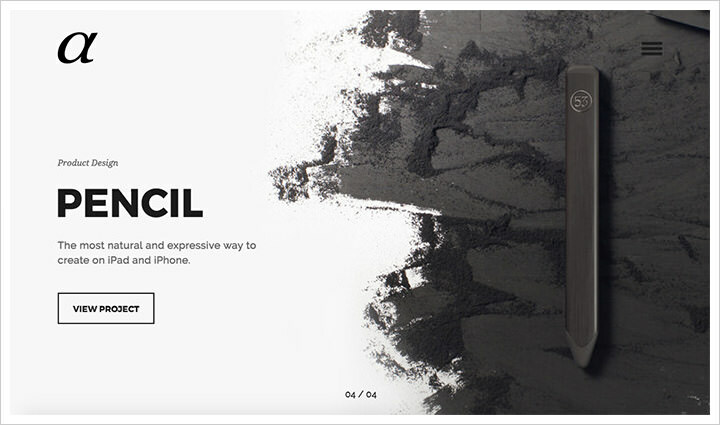 Total is a clean, easy to use and highly responsive WordPress website theme. It is a perfect solution for all sorts of applications, from professional and personal projects to business and corporate endeavors. 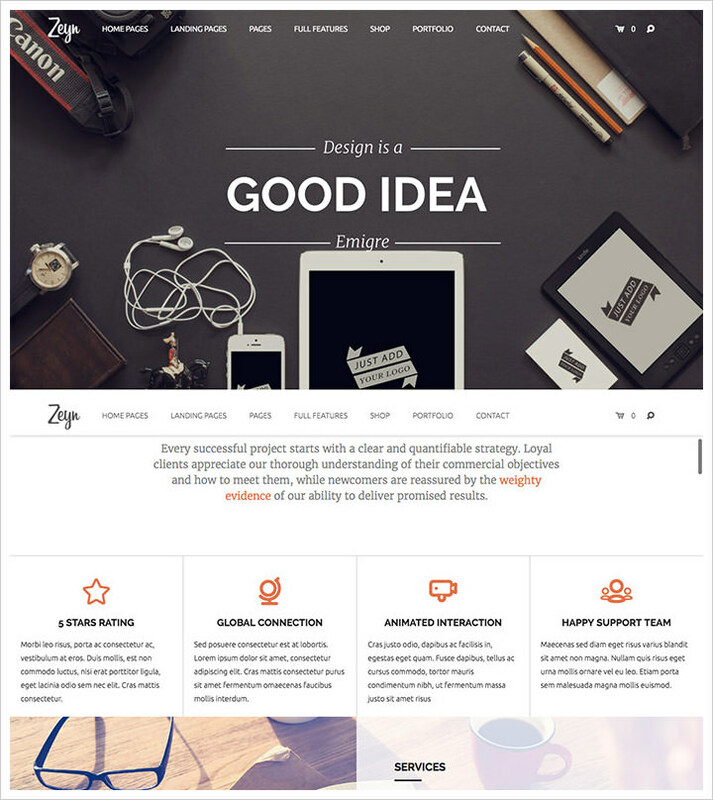 Zeyn is an adaptable WordPress theme that can be used for both personal portfolios or blogs, and large corporate pages. If you’re looking for a more detailed description of the setup process and the product itself, the developers have added some online documentation materials. 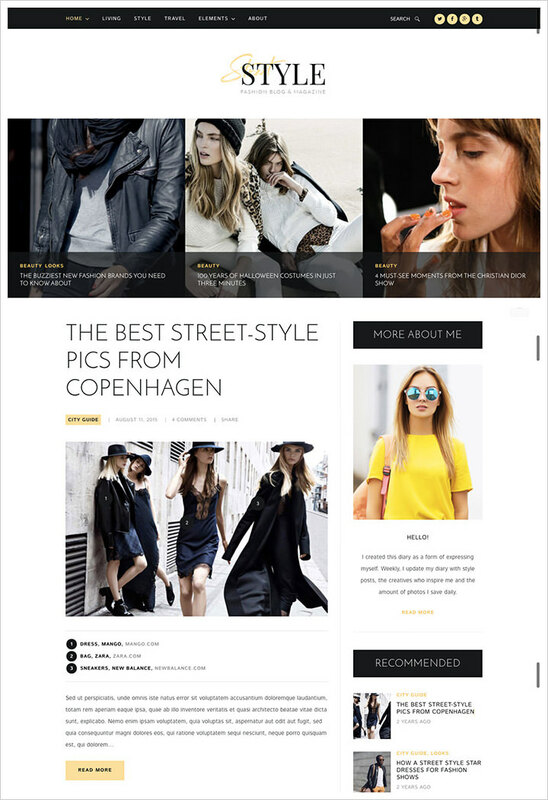 Made with amazing decor and readable text, Street Style is the theme, powered by WordPress platform, presents an elegant blog design for your page. It can be used for fashion bloggers, lifestyle bloggers, as well as it may be used for any other kind of business. 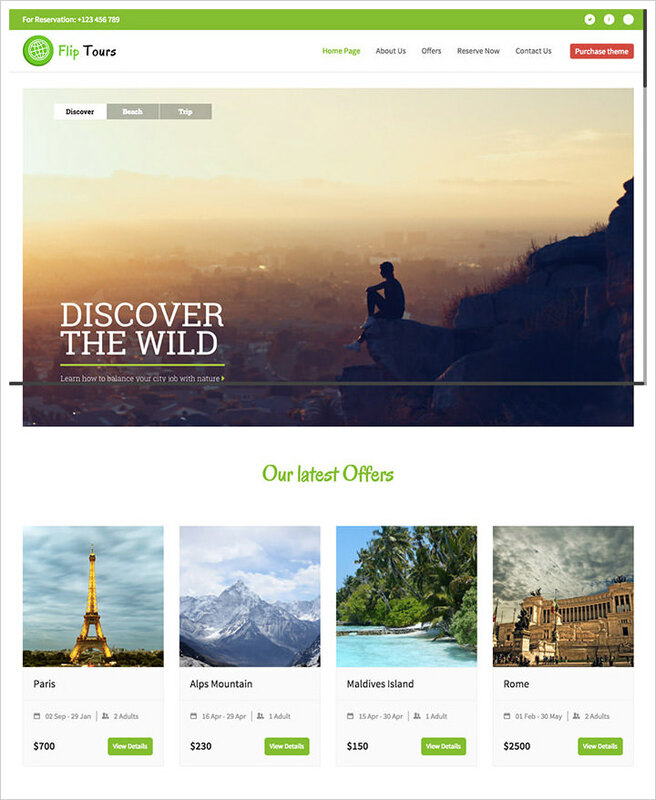 Simple & Elegant is flexible, well coded, clean responsive WordPress theme. It is the result of a minimalist approach to website design and construction with elegance. It can be used as a personal website, wedding, decor, interior design and more. 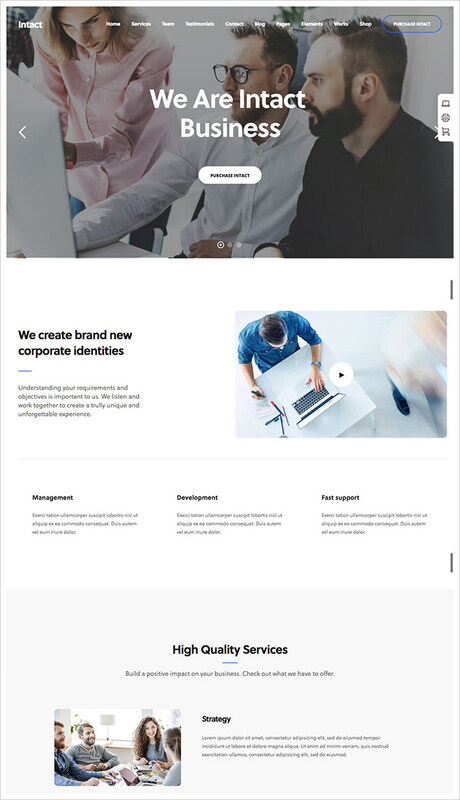 Corporate Plus is a free WordPress responsive theme for corporate and business websites. It can be used as a landing page as well. It comes with powerful features like a slider, about section, parallax, services, blog, and contact sections. 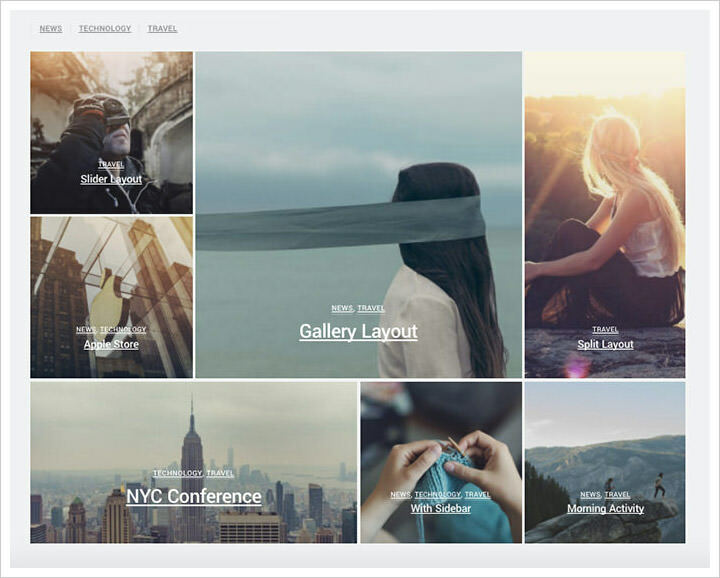 Peak is a dynamic modern WordPress theme featuring a grid-based layout. 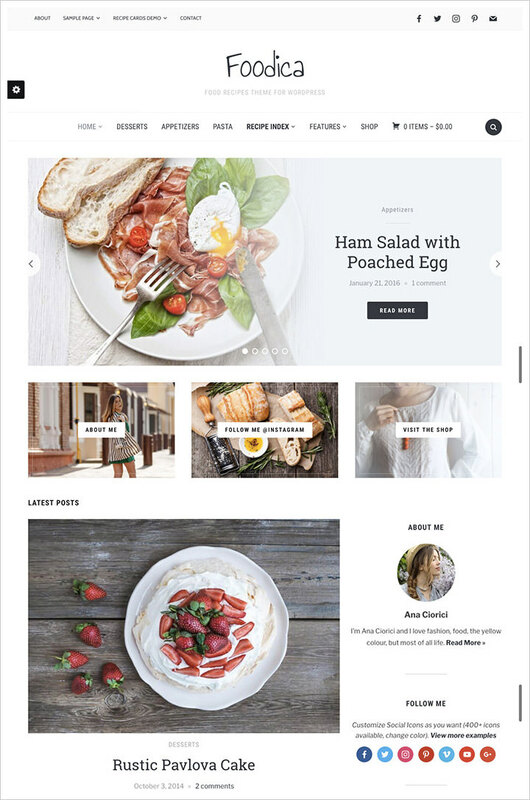 The grid-based design makes it a perfect choice for photography, portfolio, travel, and food blogs. 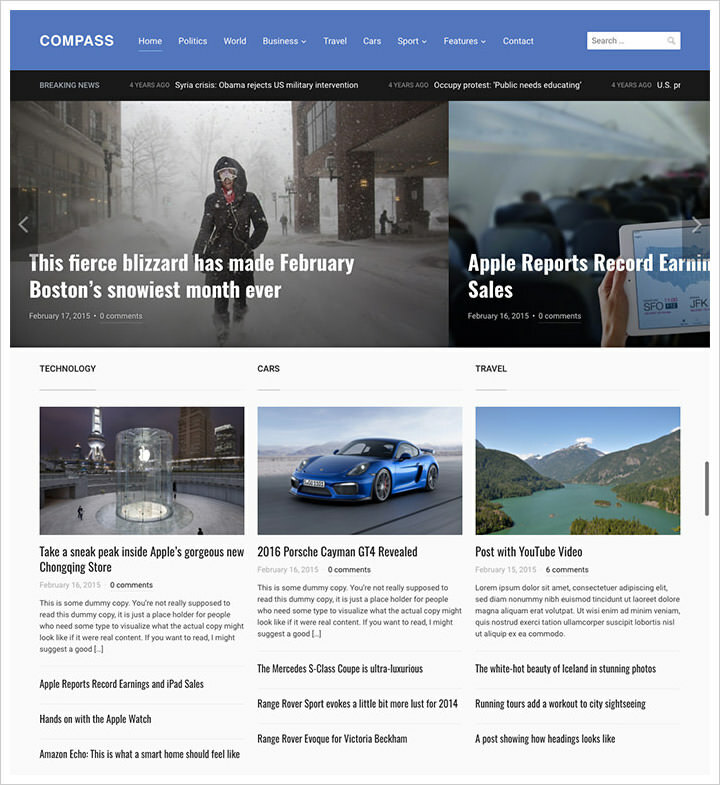 Compass is a responsive WordPress theme for blogging, news, and magazine websites. It comes with a customizable homepage with featured content slider, dynamic homepage builder, built-in breaking news ticker, featured categories, and 1-clickDemo content installer. If you’re looking for a job and don’t know how to impress your potential employer, create a resume website instead of ordinary paper CV. Resume is a stunningly beautiful WordPress portfolio theme suitable for designers, photographers, artists, and other creatives. 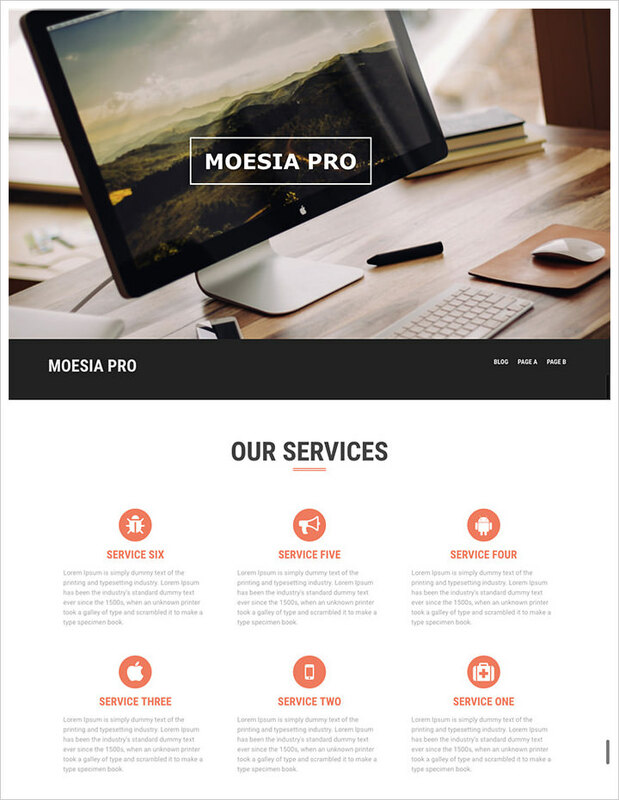 Moesia Pro is a nicely crafted one-page WordPress theme for business websites. 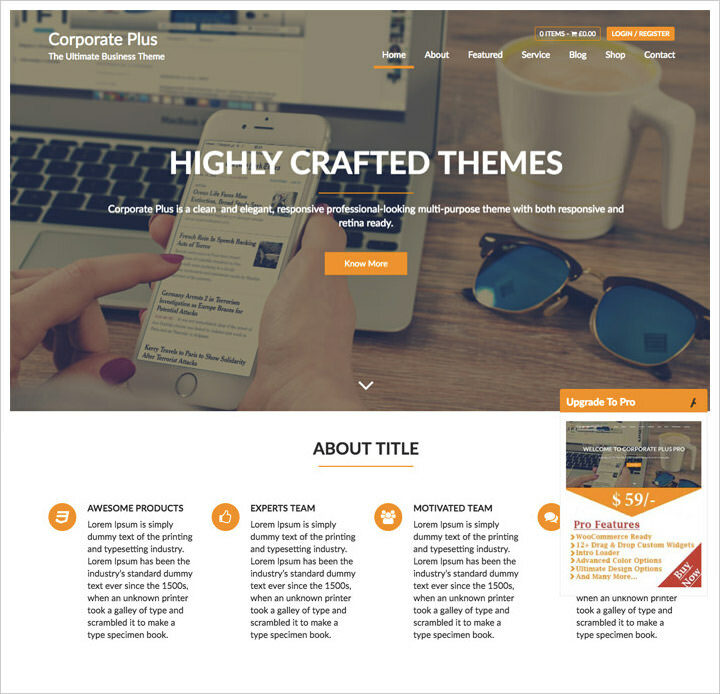 It comes with a slider, page templates, Google fonts, and all the features you expect from a premium theme. 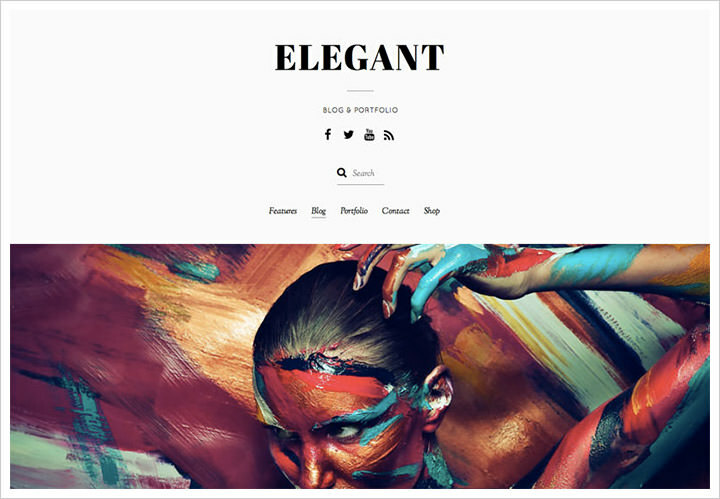 Elegant is a colorful WordPress theme for artists, photographers, and designers. It goes with built-in modules to add your photo galleries, sliders, video, and audio. It also comes with an easy to use drag-and-drop page builder. 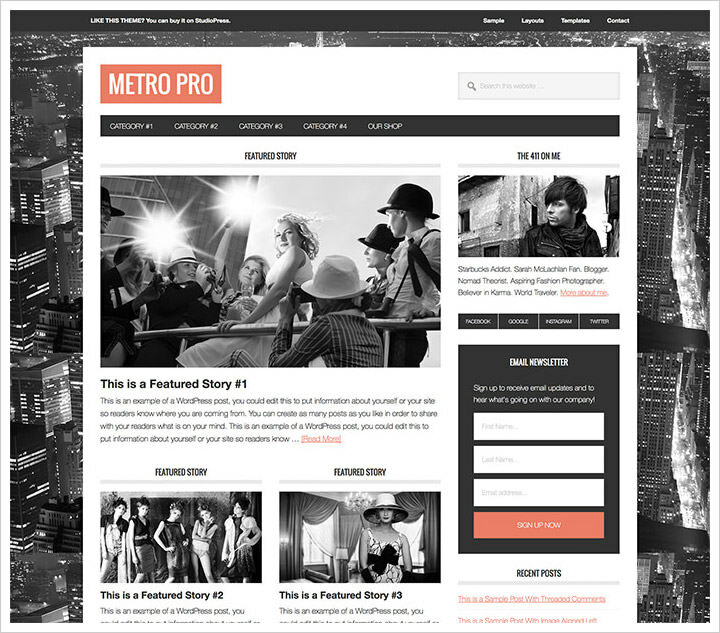 Metro Pro is a powerful WordPress theme built on top of Genesis theme framework. It features a custom background with huge featured images. It has social media integration, custom widgets, custom menus, and theme options panel. 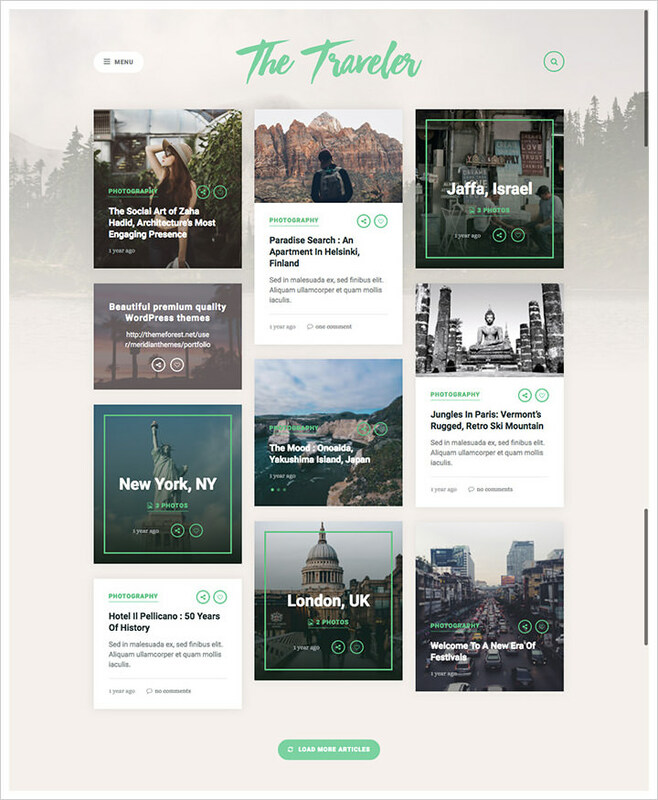 The Traveler is a dynamic modern WordPress theme for travel and tourism websites. 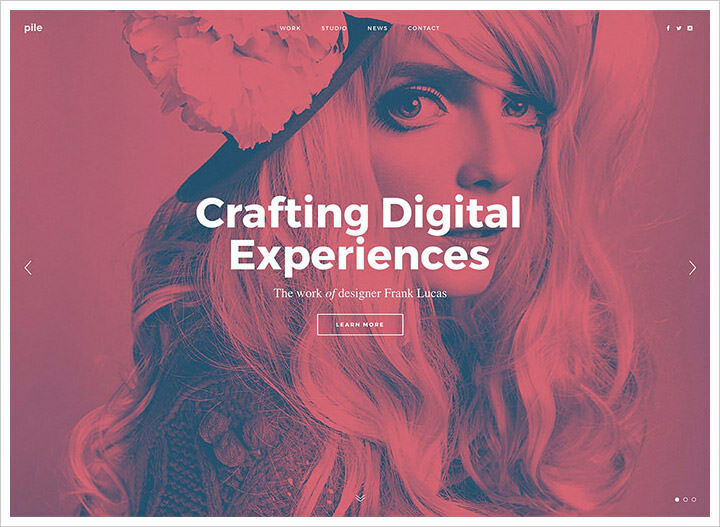 It features a beautiful grid-based design on the homepage. It also includes a nice Instagram feed, which allows you to display your latest photos from Instagram directly on your site.